This cache is a short multi show-casing this lovely traditional village sign. It is part of the village signs series. At the headline coordinates you will find the sign as well as the necessary information to complete the formula and find out the read coordinates for this cache, all information can be found within the small village green area. Proud to be the first village sign published in Cornwall. The village of Mevagissey was first recorded in 1313 with the name of Porthhilly although there is evidence of earlier settlement. 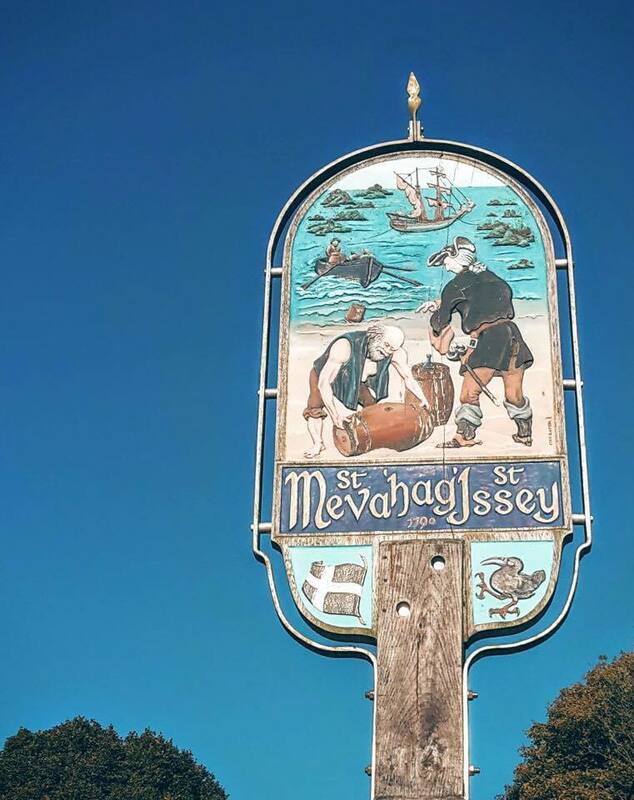 Towards the end of the 17th century the village merged with Lammorick to make a new village which was given the name 'Meva hag Ysi' after the Irish saints St Meva and St. Issey (Hag is the Cornish for 'and') you can see these names on one side of the sign with the name Mevagissey on the other. The sign features the local fishing industry which has largely given way to tourism as the dominant industry. For more info on the sign itself you will have to read the plaque on the sign.